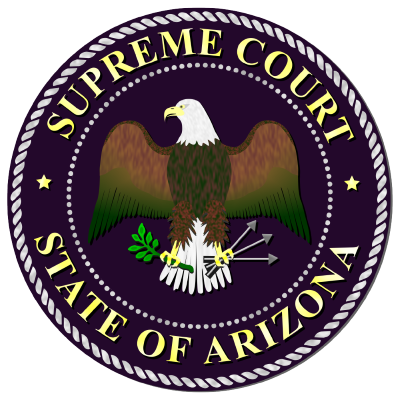 This site is a result of the work completed by the Appellate CourTools Committee which was charged with evaluating and recommending measures by which Arizona’s appellate courts can track and improve performance. The Committee was comprised of leaders from the appellate judiciary, court clerks, attorneys and a public member. The State Justice Institute provided grant funding during the project to enable the Committee to work with consultants from the National Center for State Courts from June 2008 to March 2009. The Arizona Appellate Courts are pleased to share this information and will provide updates on an ongoing basis. The Committee identified various performance measures; and in addition to those listed below, the appellate courts also surveyed their respective employees to gauge their level of engagement and productivity. Appellate Bar and Trial Bench Survey: the percentage of attorney members of the appellate bar and trial bench judges who believe that the appellate courts are delivering quality services in the following areas: judicial review and management of cases; the Supreme Court rule making process and the Supreme Court’s oversight of the administrative functions of the Arizona trial court system. Surveys are conducted every two years. Case Clearance: the number of outgoing or completed cases, shown as a percentage of the number of incoming or new cases. A clearance rate is established for each case type and will indicate if the court is effectively handling the incoming caseload and if it is clearing backlogged cases. Time standards for Arizona’s appellate courts became effective on July 1, 2016 through Administrative Order 2016-66. The adoption of these standards replaces the CourTools Time to Disposition measure previously implemented for the appellate courts, and will be phased out starting in fiscal year 2017. The appellate courts report on an annual basis for the following case types: Civil, Criminal, Family, Industrial Commission, Juvenile, and Special Actions. For more information, visit the Appellate Time Standards webpage.